With childhood obesity on the rise and the disappearance of physical education in American schools, exercise for kids is becoming a hot topic. While exercise has always been important for every stage throughout life, it can be more of a struggle today to keep our kids healthy. It’s especially important that kids engage in regular physical activity as their bodies grow and develop. Exercising allows kids to develop stronger muscles, greater endurance, and strong bones that are dense and rich in mineral content. Too many American children don't get enough physical exercise that they need to stay healthy. Childhood obesity is on the rise, with the number of overweight kids more than doubleing in the last 30 years. While many factors, including unhealthy diets, are contributing to the rise in obesity, many experts blame a sedentary lifestyle. According to the American Academy of Pediatrics, the average child watches 3 hours of TV per day. Over the course of a day, the average American child spends 5.5 hours engaged with media including the internet, video games, and TV. This average leads us to believe that some kids are inactive for longer than 5.5 hours a day, which will further contribute to an unhealthy child. Doctors advise that school-age children not be sedentary for periods longer than 2 hours unless they are sleeping. Kids ages two and older should get 60 minutes of physical activity every day, says the Department of Health and Human Services. This activity should be moderate to vigorous and allow kids to develop strength, endurance, and flexibility. When considering how to fit physical activity into their daily routines, parents should consider that exercise for kids is different than exercise for adults. While an adult can get good exercise by going running, swimming laps at a pool or participating in a sports game, kids can get exercise through play. Exercising for kids means playing and keeping them active, including things like playing tag, riding a bike, running through the sprinklers, playing hide and seek, going for a family walk, playing an active video game, kicking around a ball or playing at the playground. Parents should encourage children to participate in a variety of activities that their children will enjoy. In addition to participating in regular physical activity, a child needs to eat nutritious foods to maintain good health. In the fast-paced world that we live in, many parents resort to getting meals from fast food restaurants or cooking pre-packaged, processed meals to save on time. Other sugary, pre-packaged snacks are being substituted for fresh fruits and vegetables. Kids are drinking juice, soda or chocolate milk more than plain milk or water. Unhealthy eating not only leads to obesity, lack of energy and illness, but it also leads to tooth decay. More kids need to get back to enjoying natural, healthy meals and snacks. The New York Times claims that the best kind of exercise for kids is one that they enjoy doing. Dictating what sports and activities your children do is a mistake. If kids are not involved in the decision-making process, they will not likely consider the activity fun enough to continue. Developing healthy habits as a kid will carry over into adult life, which means it’s best to let your kids decide how they want to exercise. 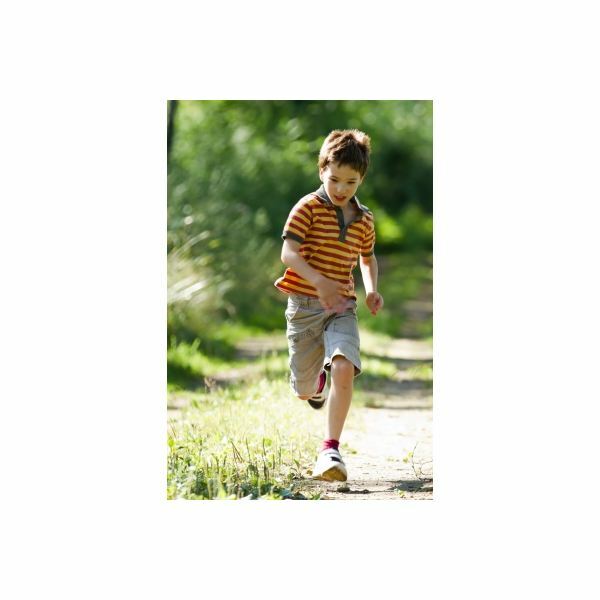 The New York Times "How Much Exercise Do Children Need?"